Azuki is small bean and therefore it’s easy for the heat to go through it. 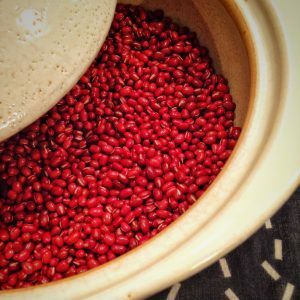 However, with pressure cooker, which put high pressure on beans could possibly rip beans’ skin off before the heat reaches the core. You can avoid those kind of problem if you use low-pressure cooker. I recommend this cooker if you make azuki( red beans) dish which you have to smash them after all. If the pressure cooker starts converting the water to steam and the weighted pressure regulator begins jiggling, turn the heat down to medium low and keep it simmering. Turn off the heat and leave it until the pressure cooker reduce the inside pressure and you can open it. Open the lid of pressure cooker. Pick some beans up to ensure that those beans are soft enough. ( If they are not, add 100 ml water and stir them. Turn the heat up to low and boil them without lid. 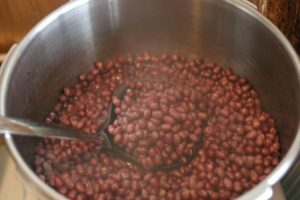 The boiled azuki(red beans) made with pressure cooker pales in comparison with ones made with donabe(Japanese traditional pot ), taking longer time boiling them. 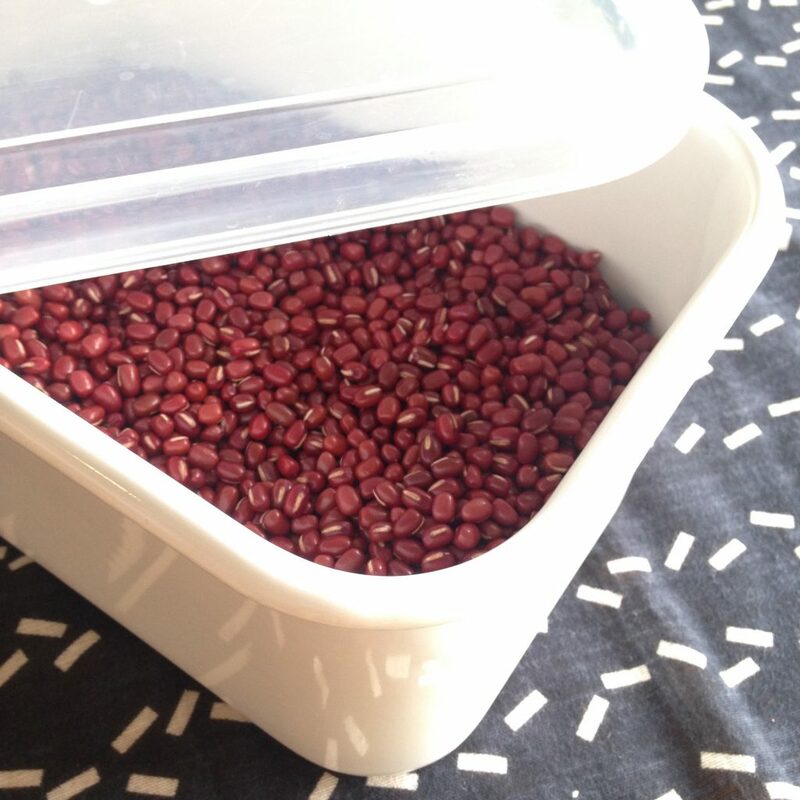 However, it doesn’t mean that boiled azuki(red beans) made in accordance with this recipe isn’t bad. On the contrary, they are much more delicious than ones you can buy at the supermarket. Understand those points and enjoy azuki(red beans) dish. 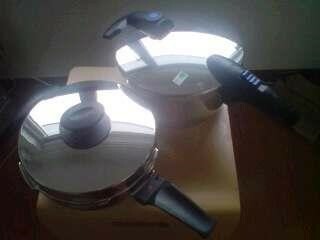 Choose pressure cooker … Choose the one you can adjust the level of pressure and thick. The one with low pressure is the best when it comes to cooking beans. Not enough boiled is way better than too boiled. … Turn the heat off when you think it’s not enough a little bit. You can boil them again after that if you have to. The optimal duration of boiling defers depends on your pressure cooker. You will get to know how the optimum length of time as you use it several times. Let the pressure cooker release the heat itself… Don’t attempt to lift the lid off by using a quick release button on the lid.